Hey guys!!! I know it’s been a while since I’ve posted, so I decided to tell you what I’ve been up to lately. Mostly I’ve been skiing, but dad has a minor injury, so I’ve been skiing alone a lot recently. Also, I’ve been playing soccer at the recreational gym here in Taos a bit. But today I did neither of those activities … I went to some earthships with my mom! 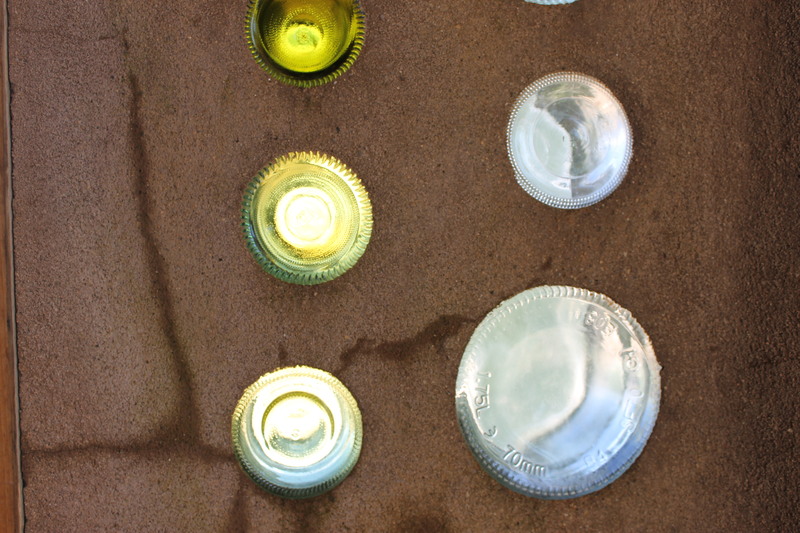 Earthships are houses made of mud, cans, bottles, and tires. They are super environment friendly, using solar panels as a source of electricity and reusing water four times. The architect who designs earthships is named Mike Reynolds, who travels the world exposing this kind of architecture to other people. He also hires interns to “pound tires with earth”. The result of filling the tires with mud: the walls of an earthship. 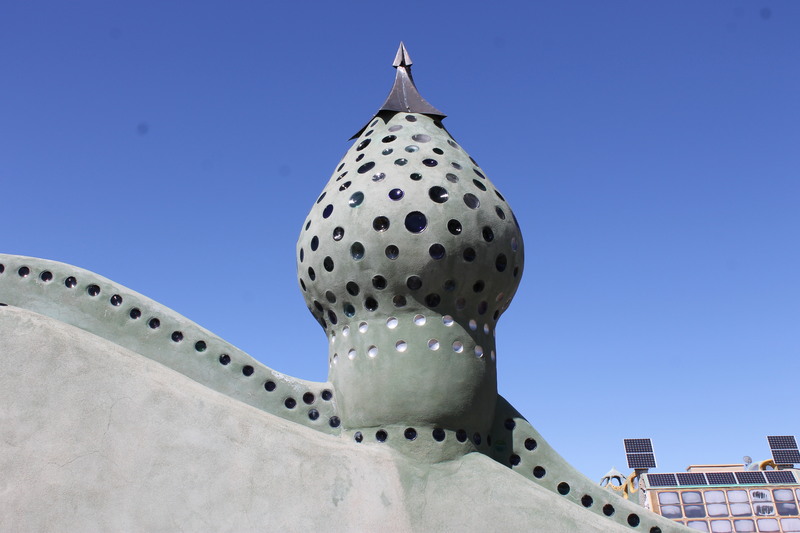 The first earthship he built is called the “Thumb House” which was constructed in the early 1970s. Another cool fact about Reynolds is that he has a patent called ‘Building Blocks of Empty Cans’, which was filed in 1971. One of the places he goes to to make earthships is Ushuaia, Argentina! In fact, when we were in Ushuaia, we saw an earthship. A funny part about our trip to the earthships today is that a power outage occurred at our house while we were gone because of a broken telephone pole. If we lived in an earthship, we wouldn’t have experienced it, because we would have been using solar power! That’s really living off the grid! Hope Martin heals quickly… Love to all of you. Hey Eliot, the skiing remains good here as well. We skied Saturday night. . . Still lots of snow, but today it got to 50. . . So the melt is on. The earthships sound cool. . . Do they float? Hi Mark, I’m afraid that the earthships don’t float. It’s very dry here, anyway! Glad to hear from you again. It is finally getting to meltdown mode here. I hope we can ski together next year when you are back… when are you actually getting back to Douglas? i LOVE the earthships! I am really into recycling and artsy mosaics and those houses look like they are doing a bit of both. We love the solar power connection too. Why do you think that people are resistant to using solar? I think they are too spoiled by the convenience of what they already have. Our world needs to start doing something about carbon footprints… and solar is a great step in that direction. Hope you are all healthy and well. check out this cool invention from an inventor in Manila. Gosh! Monica’s bottle bulb article brought tears to my eyes… Just heroic & beautiful the sharing of such a discovery is… Thanks 4 the conversation Elliot! Love you dear one! Oh! Happy St. Patrick’s day! Great grandmother McDermott always wanted us to remember our Irish heritage! !